Cape Cod is a peninsula in the shape of the letter “L”, which is located in Massachusetts, USA, about 70 kilometers south of the big American city of Boston. It is situated on the Atlantic coast and stretches approximately 50 km into the sea. The peninsula forms a sheltered bay, and because of its specific form it is a powerful barrier against the large waves coming from the Atlantic. Cape Cod is a living proof that the Northeast of the United States also can boasts beautiful and attractive beaches and one can spend a great summer vacation without to travel to California or Florida. Cape Cod has also many beautiful beaches with fine and light sand. At some places are formed marvellous sandy dunes, covered with gold and dried under the summer sun herbaceous plants. The settlements on the peninsula are very calm, pleasant and covered with dense vegetation, and wooden houses bring the spirit of Britain. In July and August the beaches are superb place for swimming and collecting sunlight. Temperatures are perfect – about 23 – 24°С and the shallow waters of the bay usually warms rapidly. Many Americans do not actually live here, but just have a summer villa near the beach. Indeed, there is something noble in owning one of those white wooden houses with a perfect garden, located on the beach. Much of the Cape Cod peninsula is a protected area. Therefore it should be noted that the coastline is far from being the only thing worth seeing here. The interior of the peninsula is covered with forests, marshes, ponds, small rivers and vast meadows. Cape Cod is a dream come true for anyone seeking tranquillity and solitude amidst the beauty of nature. 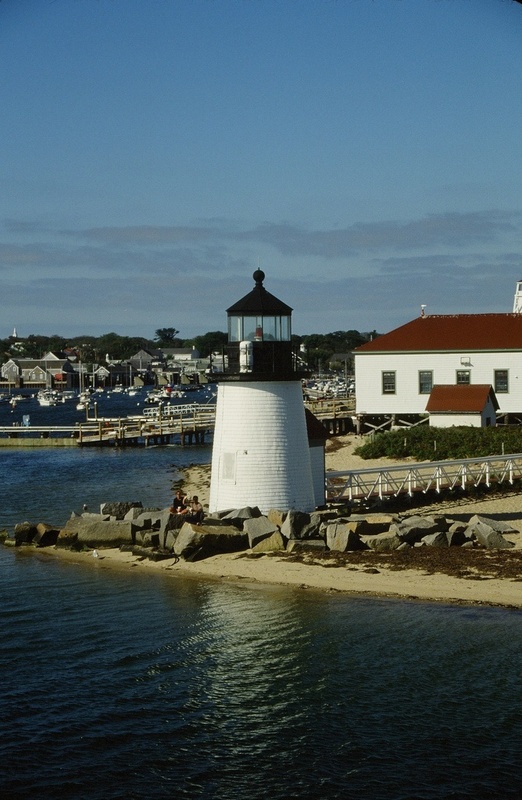 One of the biggest attractions of Cape Cod are its light houses. They are numerous and you will find them all along the peninsula. This is not surprising, because outside the sunny and pleasant summer season foggy days are not few. There are numerous tours that follow the location of the light houses and tell interesting facts about them and their history. The oldest light house is Highland Light in the small town of Truro. It is located on the northeast coast of the peninsula on the shore of the ocean. It was built in the 1797th and reconstructed in 1857th. This is a very old structure, especially having in mind that the United States is a young nation. If you visit the Cape Cod peninsula, do not forget to make a trip to the nearby island Marta’s Vineyard – famous place where takes place the action in one of the most famous American movies – “Jaws”. This is the place where the huge white shark harasses local residents and “boycott” the brief but dynamic tourist season. The situation reaches a peak when the police chief, a scientist and a hunter of sharks go along on the high seas in pursuit of the fierce predator. The reality however is quite different. In the region indeed sometimes appear great white sharks, but that’s not happens every day and in situations when some of these dangerous fishes enclose the coast of Cape Cod, the local authorities usually close the beaches immediately. Cape Cod can be visited off-season, but then you will miss the opportunity to see this beautiful peninsula in its best light. Winter here is dark and cold, and temperatures do not exceed 2 – 3°С. However, very often thermometers show below freezing and heavy snow and frost are common sight. Spring and fall also have their advantages. In spring the peninsula is very charming. Everything is waking up for life, and birds begin to sing their love songs. And autumn also has its charms. In this season landscapes shine in fiery red nuances, and nature is preparing for hibernation. Arriving here you will most likely want to eat mainly local cuisine. We recommend you to enjoy the huge variety of fish and seafood, because here fishing is a way of life. In almost every restaurant in the area you can eat delicious baked fish with fresh vegetables at a good price.